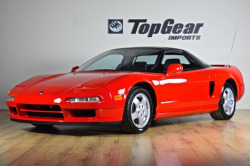 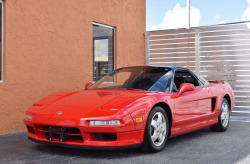 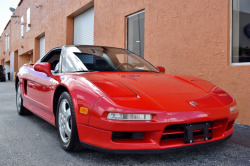 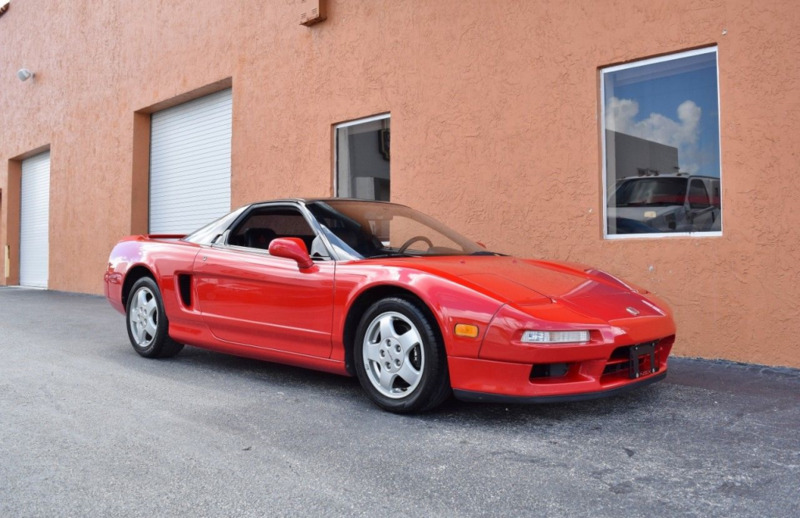 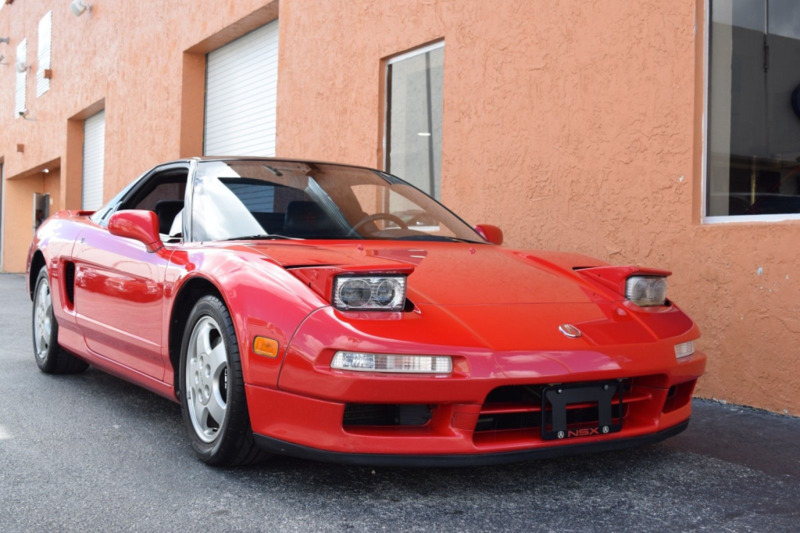 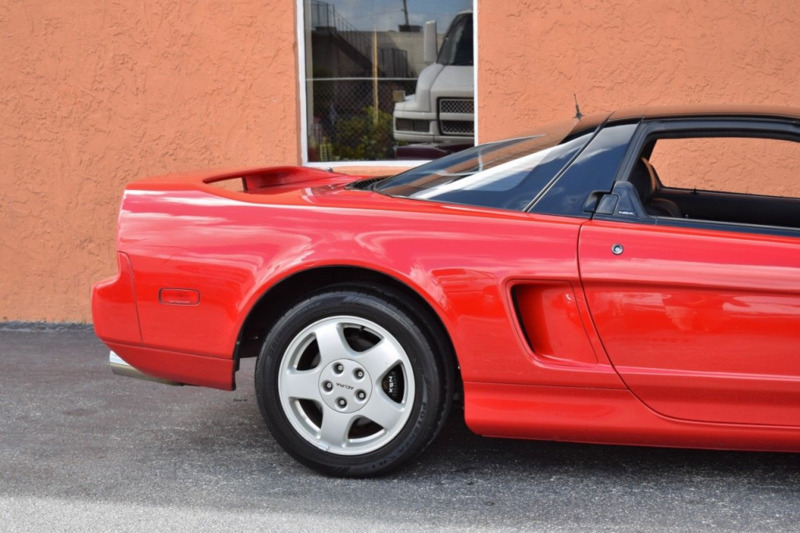 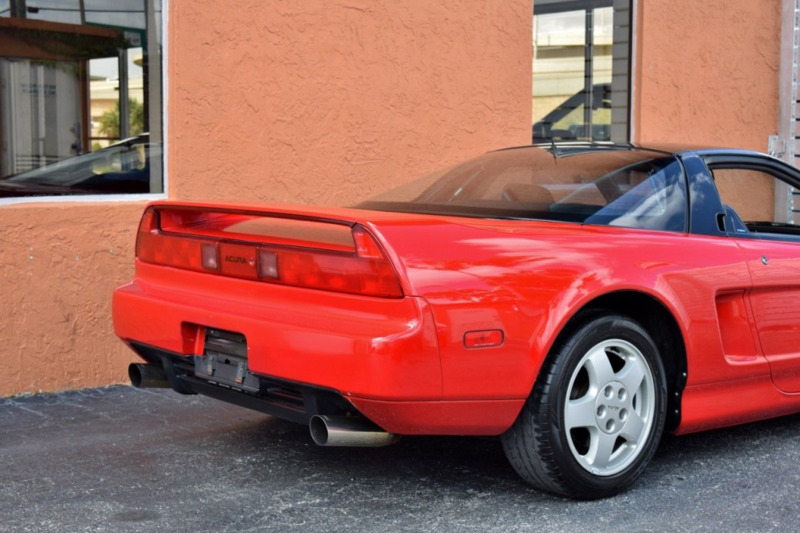 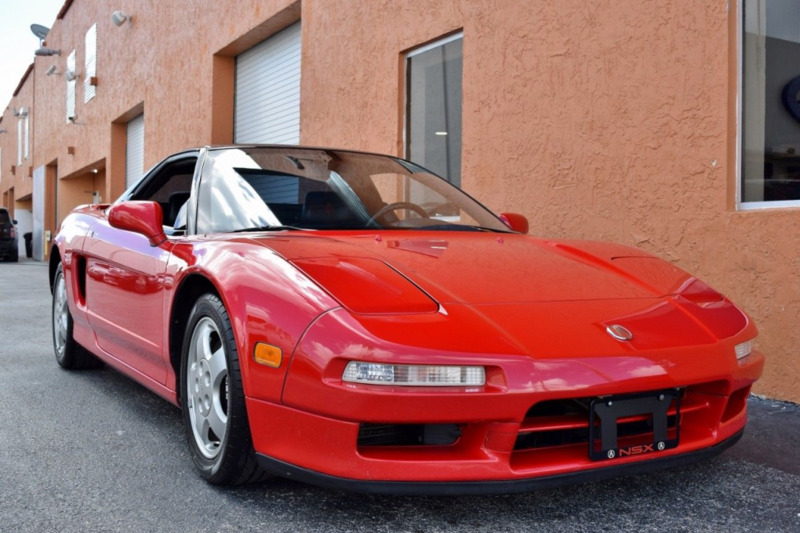 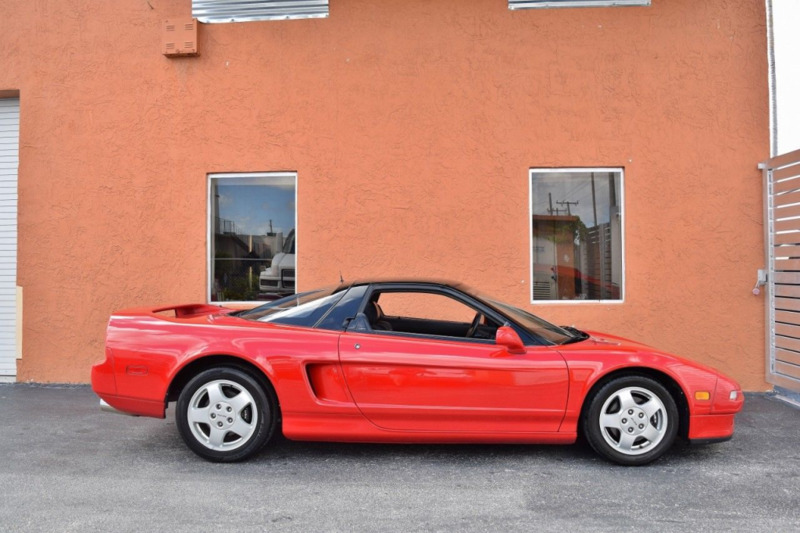 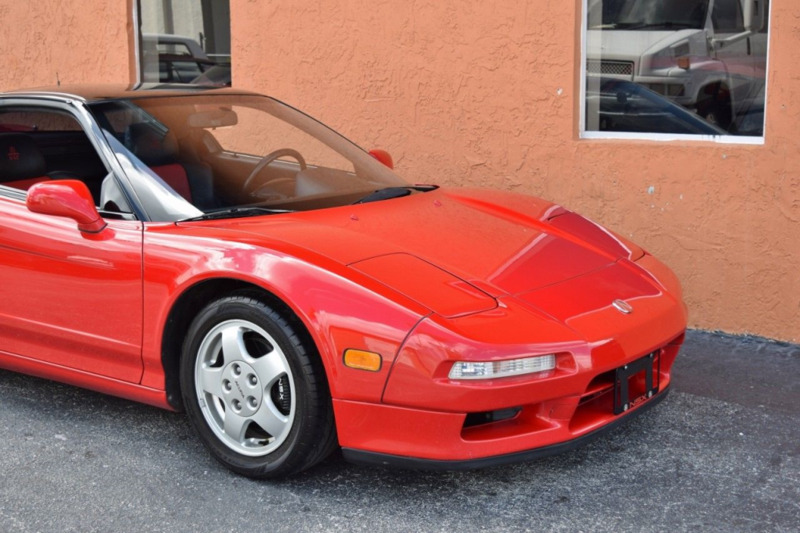 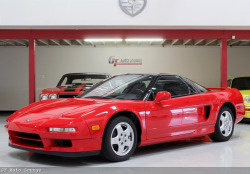 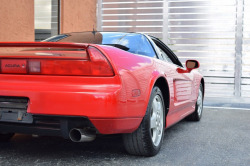 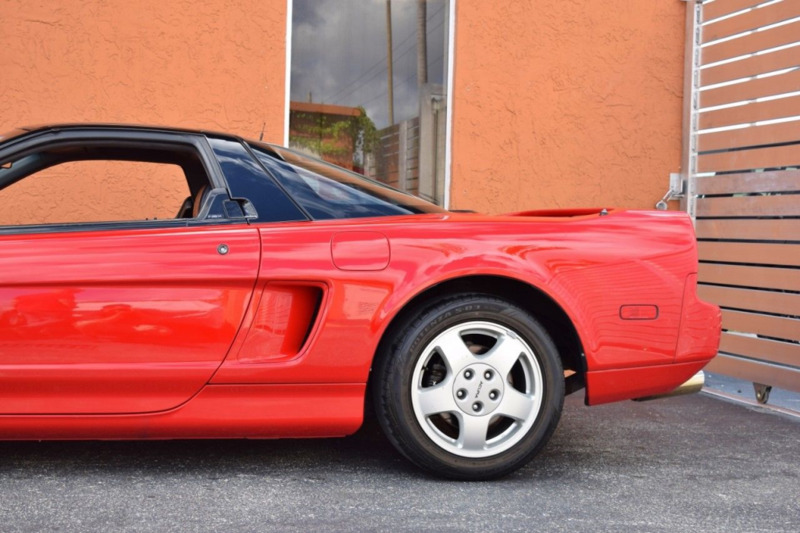 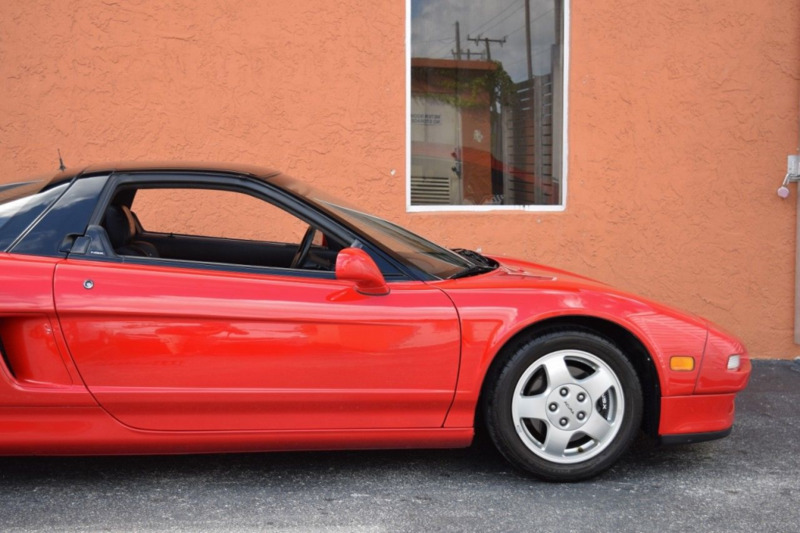 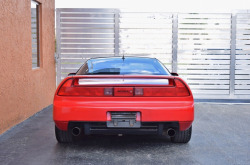 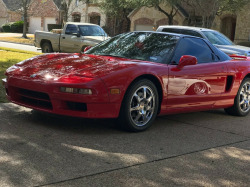 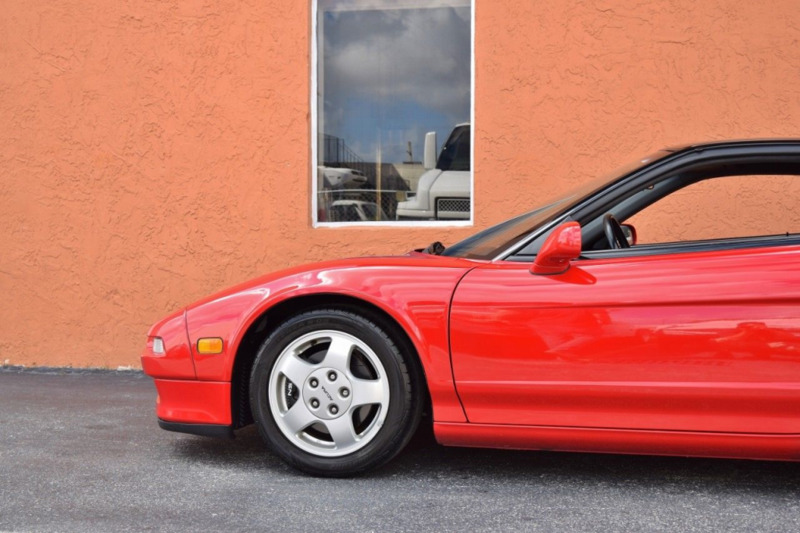 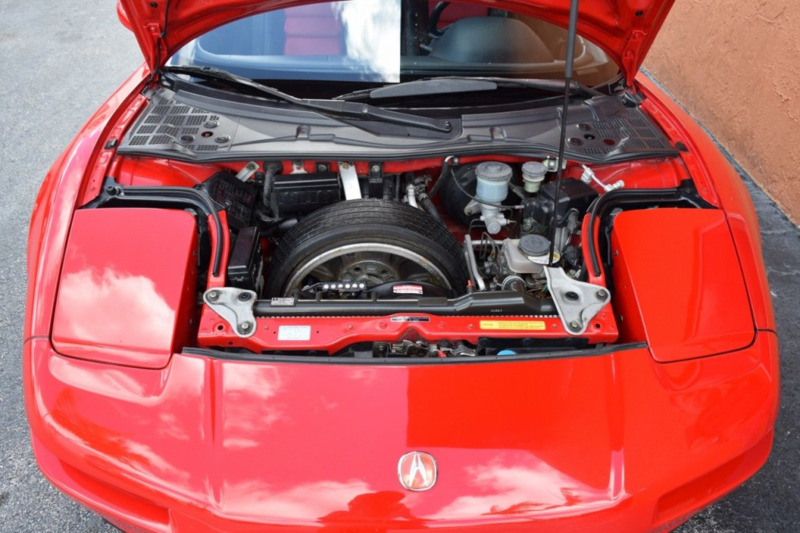 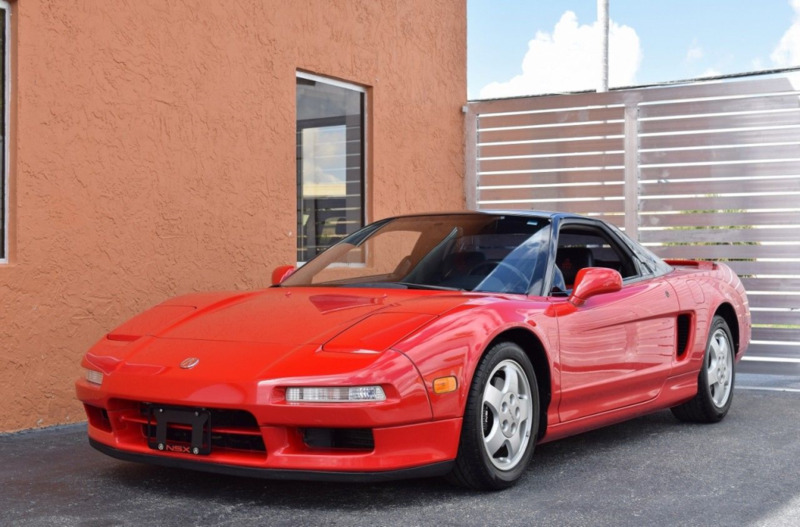 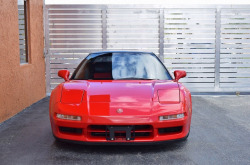 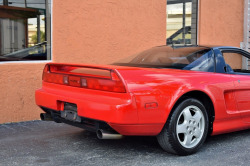 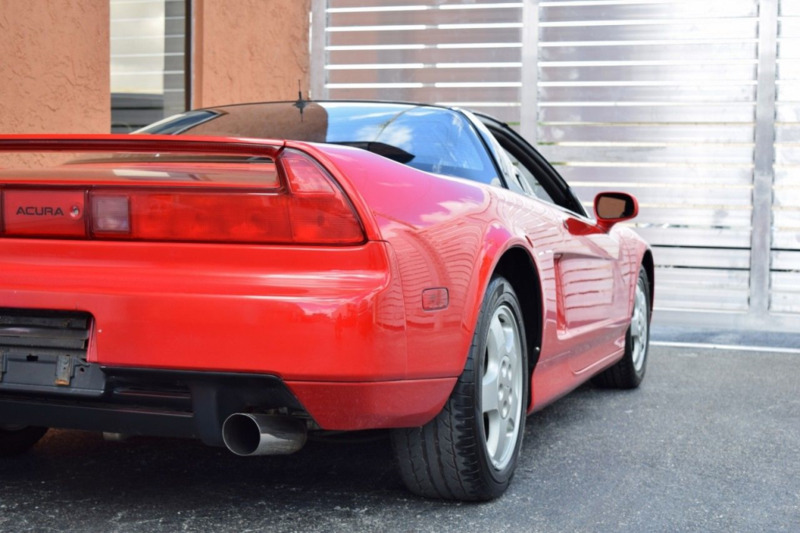 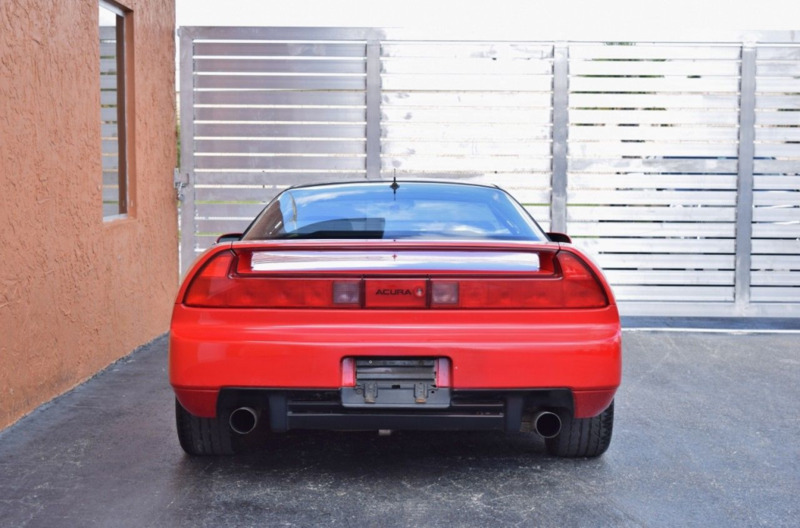 Our NSX is a highly desirable combination. 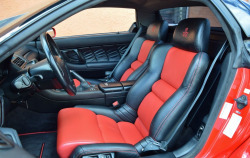 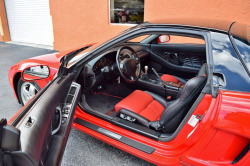 Formula Red exterior with beautiful like new Black / Red interior and a 5 Speed manual transmission. 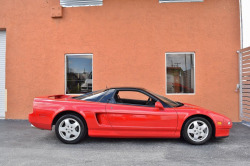 Exterior is in good condition with a couple of minor rock chips on the front and small chips on rear bumper. 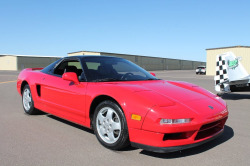 Overall it presents very nicely taking into consideration the car is 25 years old. Driver side headlight could use a cleaning has minor condensation. 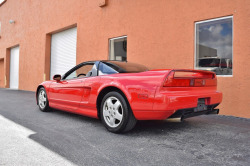 The Factory 5 spoke wheels front and rear in great condition showing little to no curb rash wrapped in older Bridgestone Potenza tires. Underneath the car is solid no rust super clean and tidy. 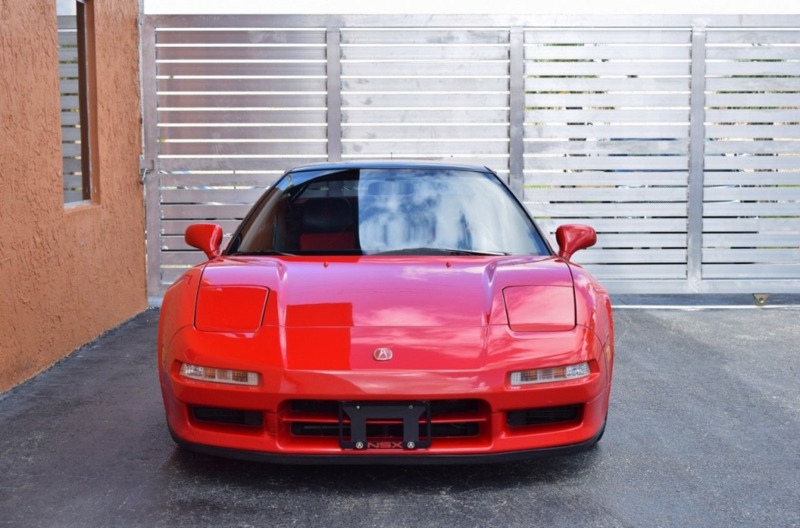 but does not function. 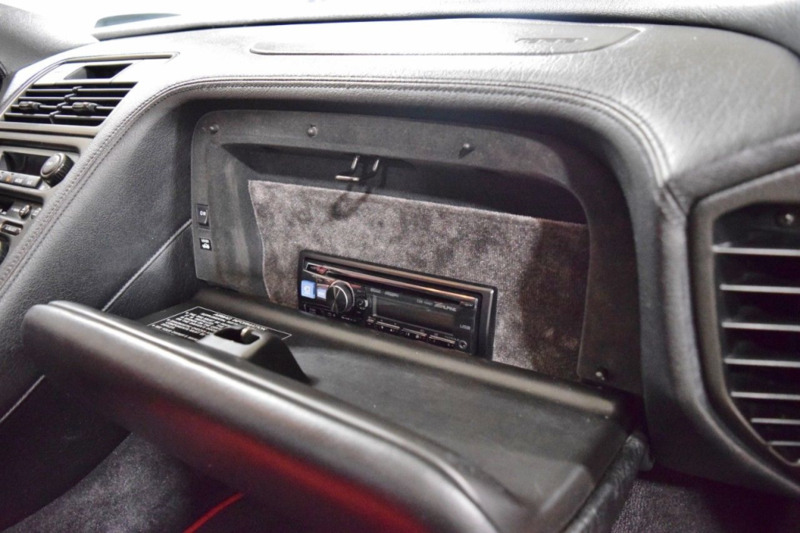 Was upgraded to a more modern ALPINE blue tooth head unit which is installed in the glove box works good. 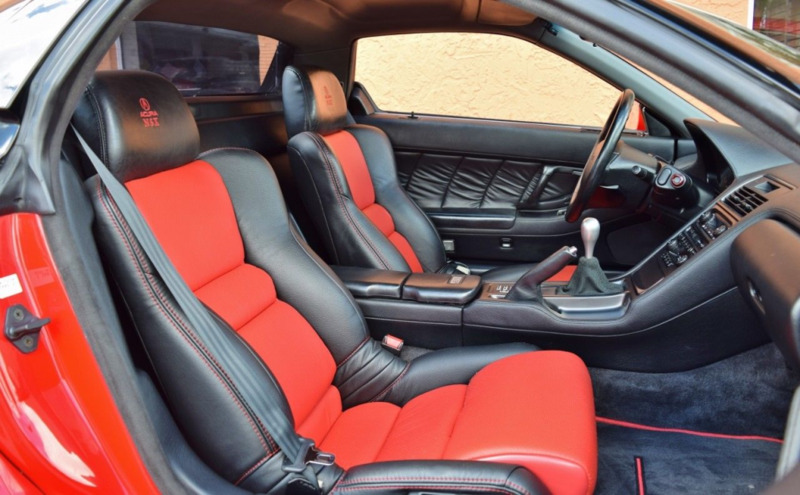 The shift knob has been upgraded but other than that the interior is basically stock and in very nice condition. excellent condition as well as the dash which is crack free and not warped in any way. Car has documented service records. 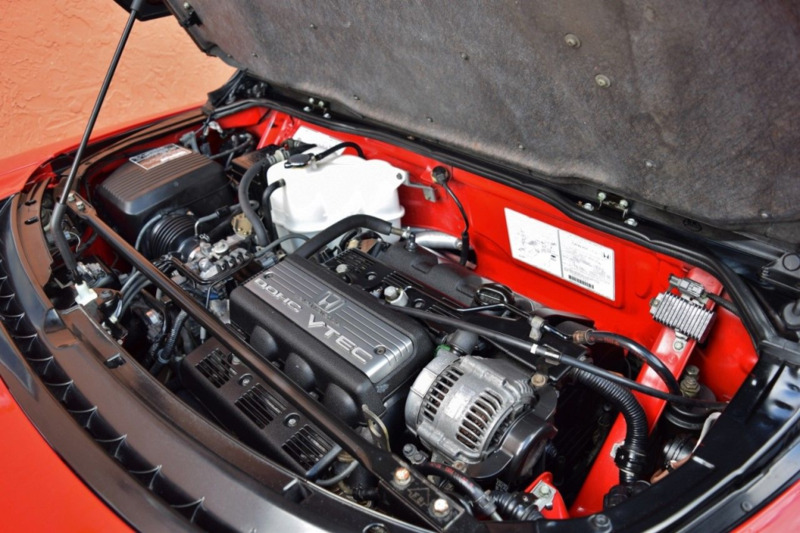 Has been maintained very well. 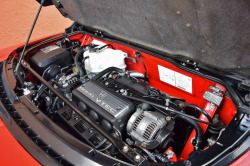 Timing belt service has been done and was replaced at 63k Miles. 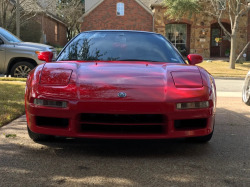 typical of these cars. 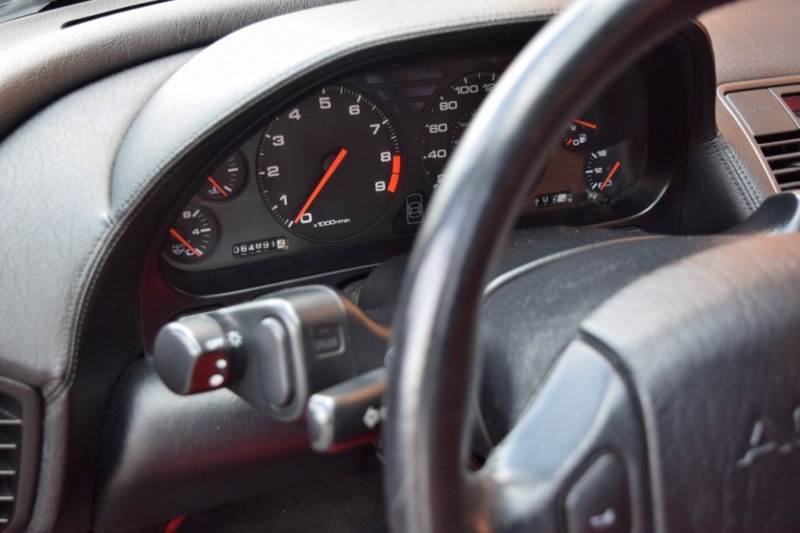 Every gear engages smoothly no grinds pop outs or any issues. 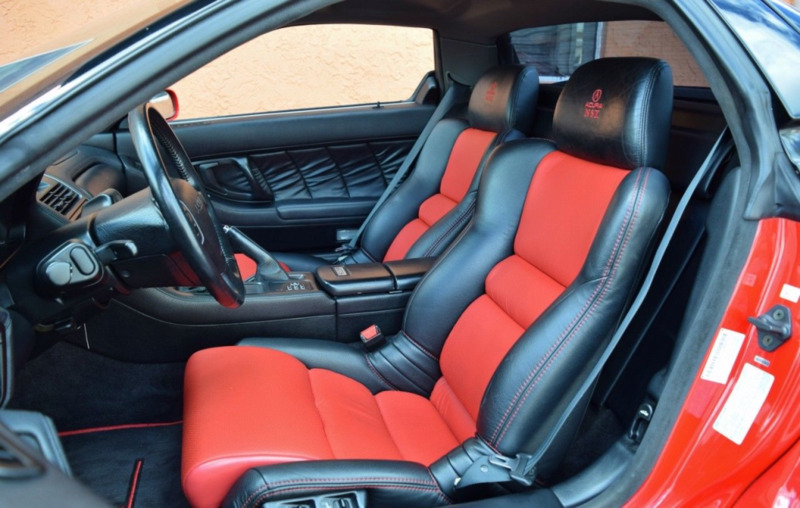 Pulls to red line effortlessly.